Diabetes mellitus and its associated complications (cardiovascular, renal, hepatic, ophthalmic, neurological, and osteopathic-, endothelial-, and sexual-dysfunction, etc.) remain a burden worldwide in spite of the availability of a number of anti-diabetic drugs, many of which have adverse effects. There is a trend towards using natural products to control hyperglycemia and associated pathologies. Propolis, an apiproduct used by the honeybees as a sealant, has been rediscovered as a medicinal agent, reported to be of benefit in the treatment of allergies, bruises, burns, ulcers, sunburn, wounds, tumors, fatigue, sore throat, nasal congestion, respiratory ailments, flu, colds, acne, skin disorders, and shingles. Propolis consists of plant resins, balsams, wax, bee pollen and essential oils. The composition of propolis (of different colors) depends on the phytogeographical location, seasonal collection time, and botanical source. It is reported to contain more than 300 natural compounds such as polyphenols, phenolic aldehydes, sesquiterpene-quinones, coumarins, amino acids, steroids and inorganic compounds. Propolis is reported to have anti-angiogenic, antihypercholesterolemic, antihypertensive, anti-inflammatory, antimicrobial, antioxidant, anti-parasitic, anti-septic, anti-tumor, antiulcer, anti-viral, immune-stimulatory properties, and hepato-, cardio-, and neuro-protective actions. Diabetes and pathologies associated with it are mainly due to inflammation and oxidative stress, as a result of elevated levels of reactive oxygen species (ROS), which cause lipid peroxidation and protein oxidation. The anti-oxidant, oxygen radical scavenging activity of propolis (and its extracts) is mainly due to the presence of phenolics and flavonoids. The beneficial effects of propolis in diabetes have been confirmed by a number of studies in experimental animals. For example, propolis given orally to rats with streptozotocin (STZ)-induced diabetic rats significantly decreased plasma insulin and insulin resistance, reduced glycated hemoglobin, suppressed elevated hepatic enzymes, and increased hepato-renal glutathione peroxidase levels. An ethanolic extract of propolis administered to STZ-induced diabetic rats, reversed body and kidney weight loss, improved serum glucose and lipid profile, and renal function tests, as well as decreased oxidative damage [increased superoxide dismutase, glutathione, catalase and decreased malondialdehyde (MDA)] in the renal and pancreatic tissue. Similar results were obtained by us using Moroccan propolis in STZ-diabetic rats and diabetic 2 rats. The protective role of propolis against the ROS induced damages in diabetic rats and nephrotoxicity models gives hope that they may have similar protective action in humans. These studies in humans and in experimental model of diabetes in rats, provide a basis for therapeutic use of beehive products. Furthermore, several studies, including ours, have revealed that the observed beneficial effects of beehive products may be as a result of synergistic action of several constituents. ISNAD LYOUSSI, Badiaa . "Propolis: Pharmacological Properties and Medical Applications of Propolis in Modern Medicine". 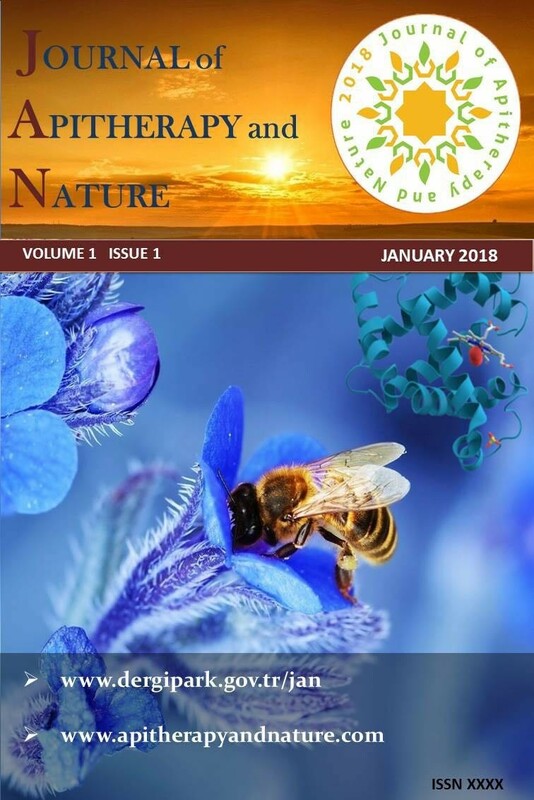 Journal of Apitherapy and Nature 1 / 3 (December 2018): 9-9.